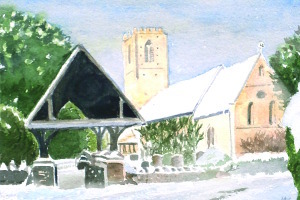 All on the Mathon Church electoral roll are welcome to come and hear reports on the work of the church in the past year, plans for the year to come and to elect Church Wardens and members of the Parochial Church Council. 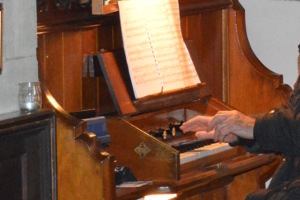 All are welcome to come and join in the singing and practice some of the hymns to be included in services in the coming month. 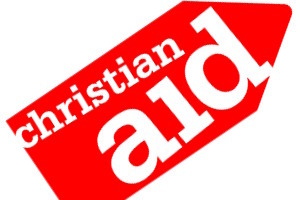 All are invited to a 'traditional afternoon tea' between 2.30 p.m. and 4.00 p.m. in Cradley Village Hall to raise funds for Christian Aid. A Rogationtide Walk, to bless the land and the crops on Rogation Sunday. 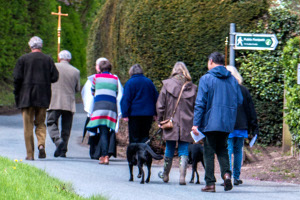 Everyone is welcome to join the short walk (starting from Mathon church at 10.30 a.m.) to field, stream, garden and village green in the centre of Mathon, with a prayer reading and hymn at each venue. 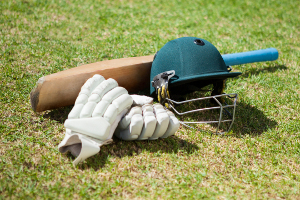 An evening talk by Dennis Amiss, English cricketer, with supper. More details follow. 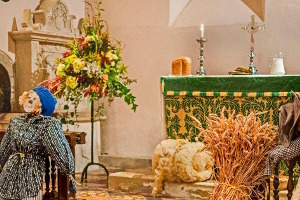 All are welcome in Mathon Church (decorated to celebrate harvest) for a Harvest Festival Service followed by drinks and nibbles. 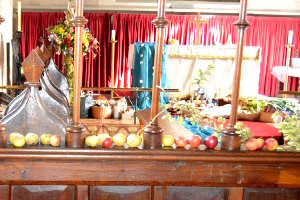 All are welcome in Cradley Church for a Harvest Festival Service. 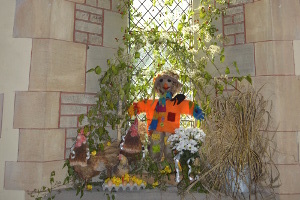 All are welcome in Storridge Church for a Harvest Festival Service. 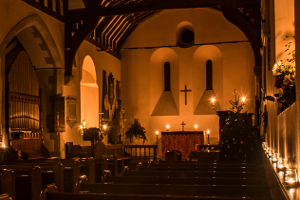 Mathon church, beautifully lit entirely by candlelight, evoking a sense of Christmases from yester-year, spanning its nine hundred years of history, will host the annual service of Carols by Candlelight starting at 6 p.m. (followed by mulled wine and mince pies!) All are welcome to come and join us for one of the highlights of our Advent celebrations as we look forward to Christmas.